Roscoe Village Auto Body Shop | Roscoe Village Auto Body Repair | Roscoe Village Auto Body Repair Shops | Roscoe Village Collision Repair | Roscoe Village Auto Collision Repair | B&L Automotive Repairs, Inc.
B & L Automotive Repairs, Inc. is at the source of providing the finest auto body repair services to customers throughout the Greater Chicago Metropolitan Area for more than three and a half decades. As the foremost family-owned and operated collision repair shop in Chicagoland, B & L opened for business in 1978 with Bernie Schatz (B) and Lou Stein (L) at the helm. Peter Rizzo began his career in 1980 with B & L, and in 1988, Rizzo became the owner of B & L. Since then, Rizzo and his family have delivered the identical values and standards of quality that began at the auto body shop over 36 years ago. They make sure that all of their collision repair technicians have received the most exceptional training in order for B & L to maintain its position as the number #1 provider of high quality auto body repair services. It is no wonder that Roscoe Village residents recognize B & L auto collision repair shop as the top provider of auto body repair services in the business. Roscoe Village is one of a number of neighborhoods situated in the larger Chicago neighborhood of North Center. B & L Automotive Repairs, Inc. is located conveniently a little less than two miles west of Roscoe Village, Illinois. Slightly more than 16,000 residents make their home in Roscoe Village. If Roscoe Village residents require auto body repair, they bring their vehicles to B & L. B & L collision repair services is consistently chosen by Roscoe Village residents because it is well-known for working on all makes and models, and collaborating with area dealerships and insurance providers. Regardless of the auto body repair work Roscoe Village customers need, B & L’s sophisticated team of experts will deliver the necessary auto collision repairs they should have. Roscoe Village clients understand that we will provide for them the best auto body shop repairs they require at a reasonable price. 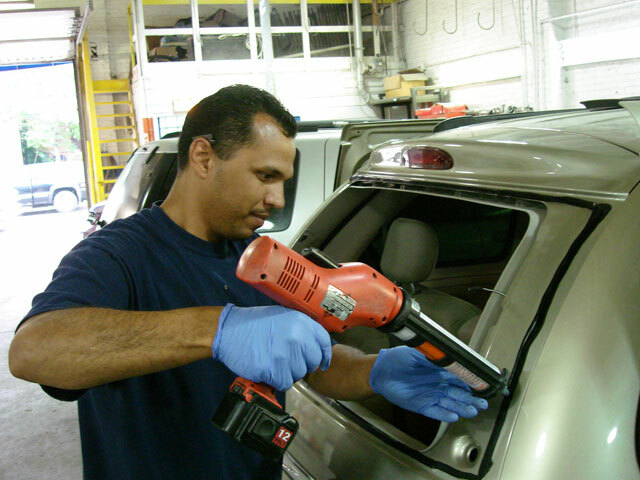 B & L Automotive Repairs, Inc. provides customers with the most extraordinary auto body repair work in order to enhance the claims management process. By focusing on integrated claims management, we are capable of providing the leading auto collision repair services. Moreover, B & L offers a beneficial limited lifetime warranty. They will also guarantee that the parts and materials used in its auto collision repair are of the most excellent quality. No matter the reason customers come to B & L auto body repair shop, they will be met by one of our customer service representatives who will guide them through the auto collision repair process. They can also expect to receive a concrete estimate from B & L! Besides providing quality control checks at every stage to ensure that your collision repair work is handled properly, we will also guarantee that your vehicle is ready for the road. Call us today at: (773) 463-1622 for a FREE estimate from B & L’s auto body shop.